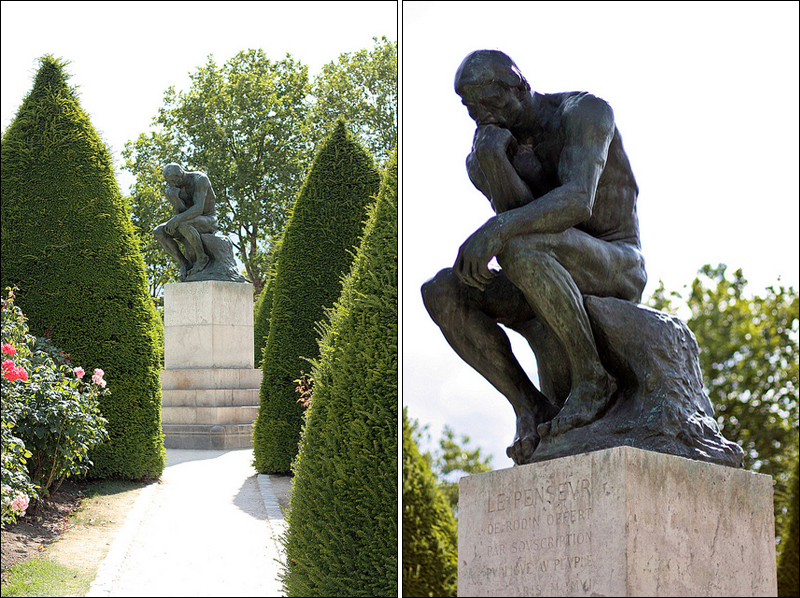 The Rodin Museum / Musée Rodin showcases the works of Auguste Rodin (1840 – 1917), including The Thinker (Le Penseur), probably the most known sculpture in the world. 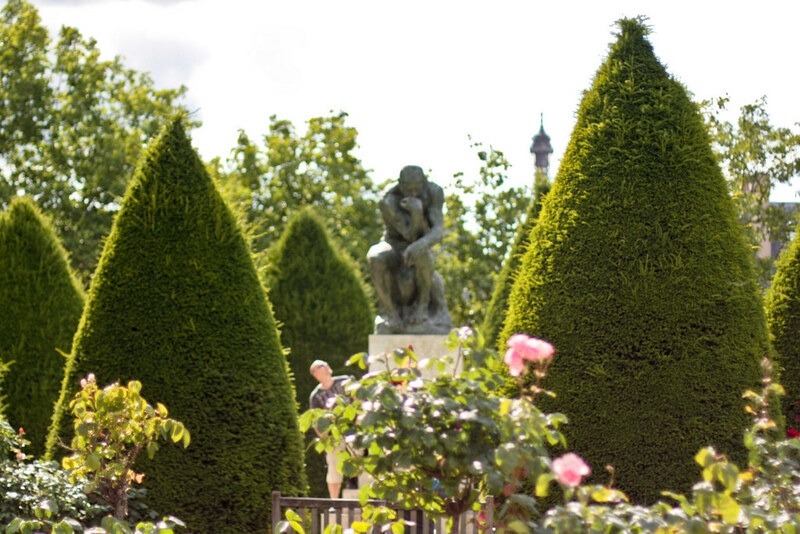 There are more than a dozen copies of The Thinker all over the world– Singapore, Philadelphia, Kyoto, Moscow, Copenhagen– but the original bronze cast can be found here. It drizzled for a while when we were there. The museum was actually a former hotel called the Hôtel Biron. 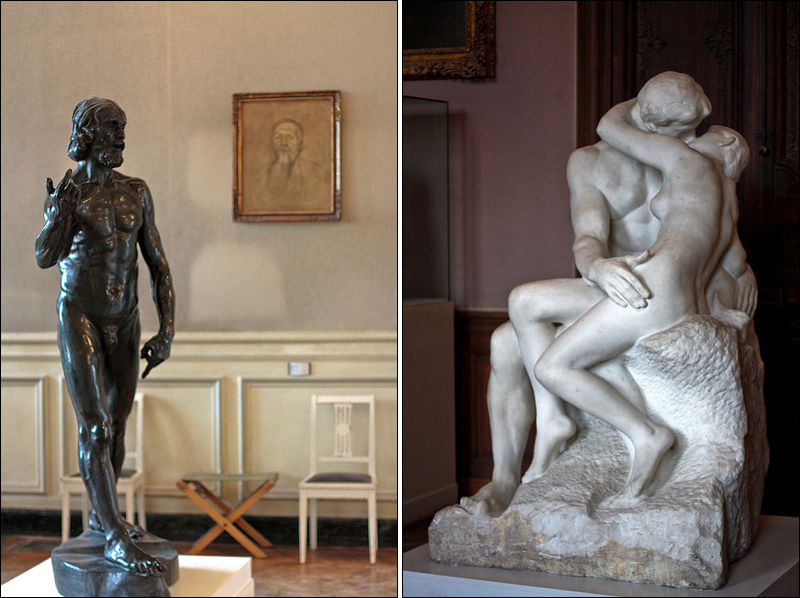 Rodin rented out rooms in the hotel and used it as his studio. 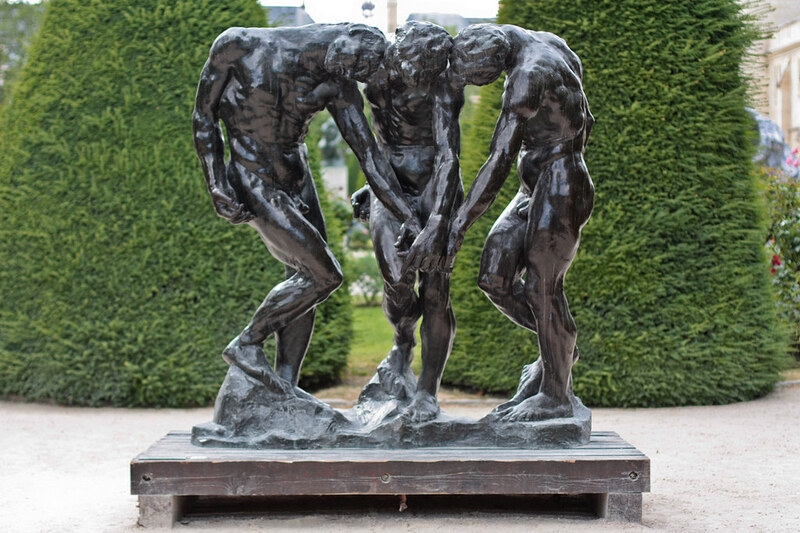 Sometime later, the French Government acquired the property and Rodin donated some of his works in the condition that the grounds be turned into a museum. 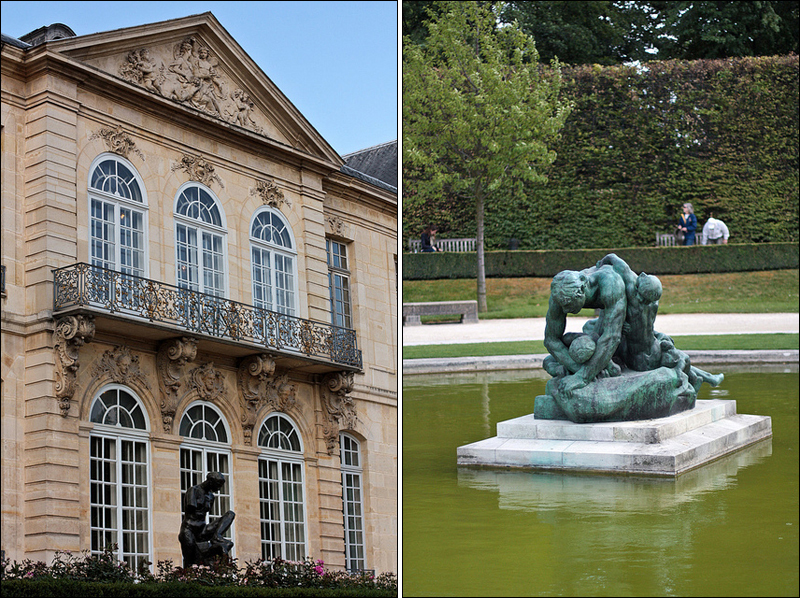 And so it was done, and Musée Rodin opened in 1919. 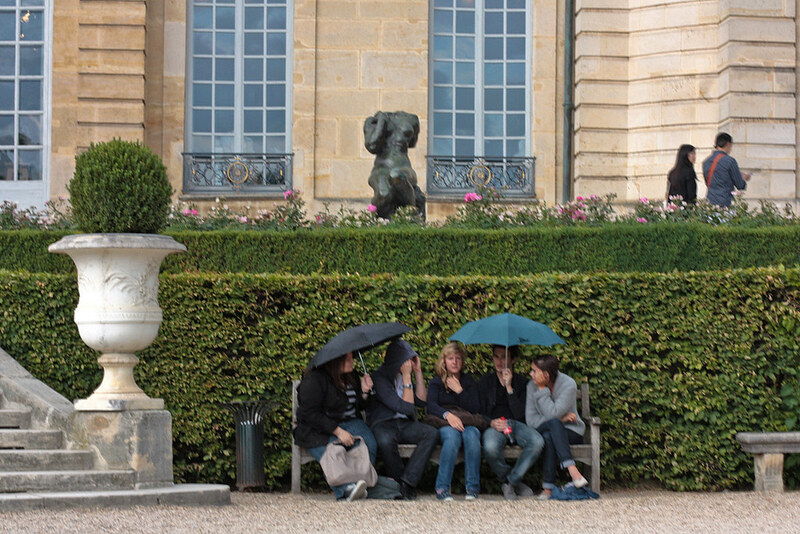 The gardens are equally beautiful, well-kept hedges and rose bushes, a terrace, a fountain and a café. 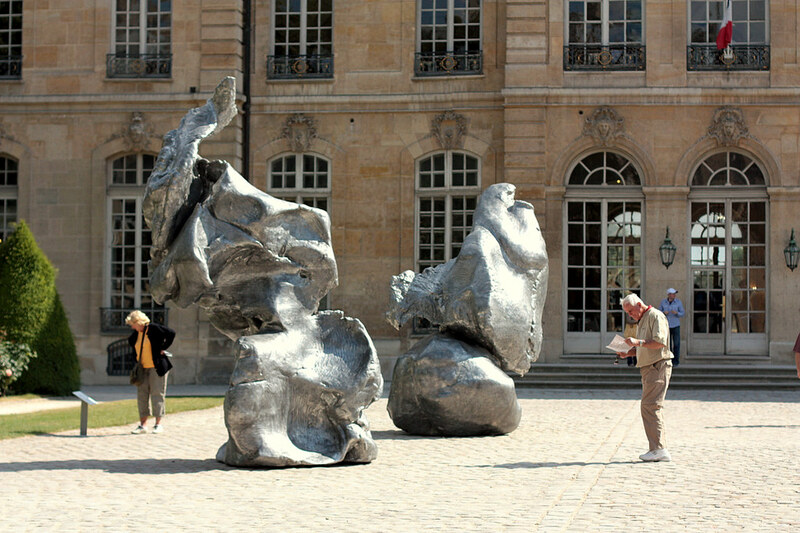 The bronze sculptures can be found here; aside from the Thinker, other well know works include: The Burghers of Calais, and the Gates of Hell. Here is a clip from one of my favorite movies last year, Midnight in Paris. 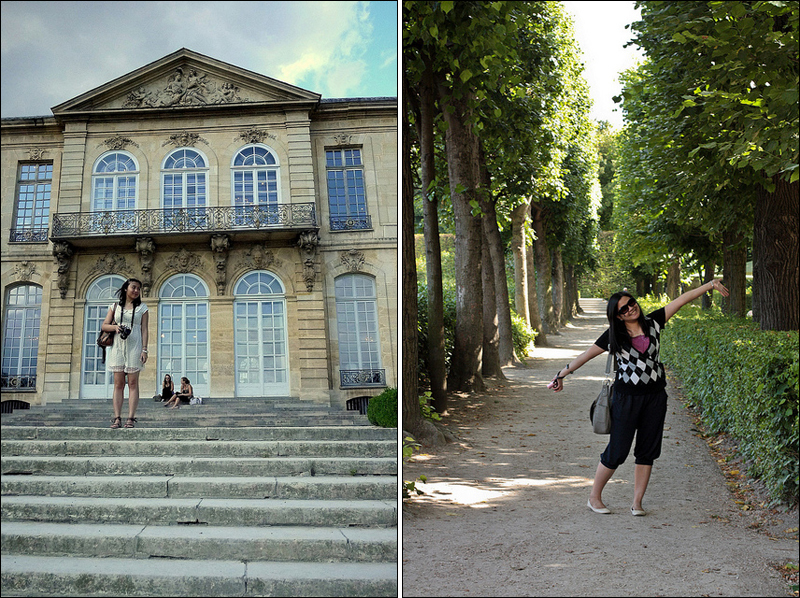 I was thrilled that they shot in Musee Rodin, obviously as it is a place I have been to. 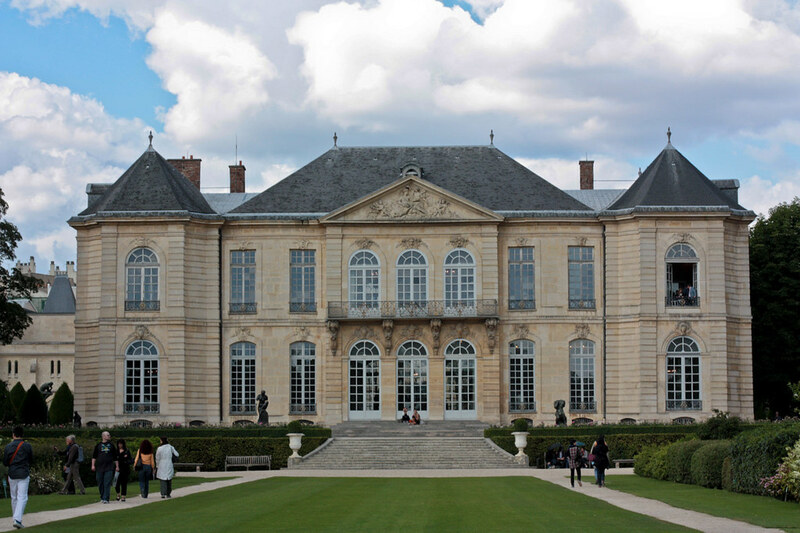 Carla Bruni (Mrs. Nicolas Sarkozy) plays the museum tour guide. 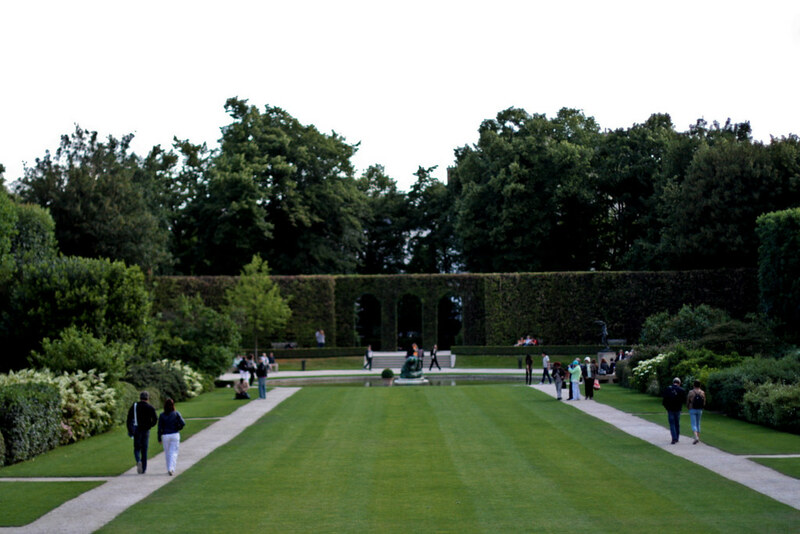 Midnight in Paris also shot in Giverny, and the gardens looked better in the film than in pictures! 🙂 About this movie– I don’t usually like the general theme of magic-realism, but I found myself charmed by this gem of a film; I especially get a kick out of Adrien Brody playing Salvador Dali.